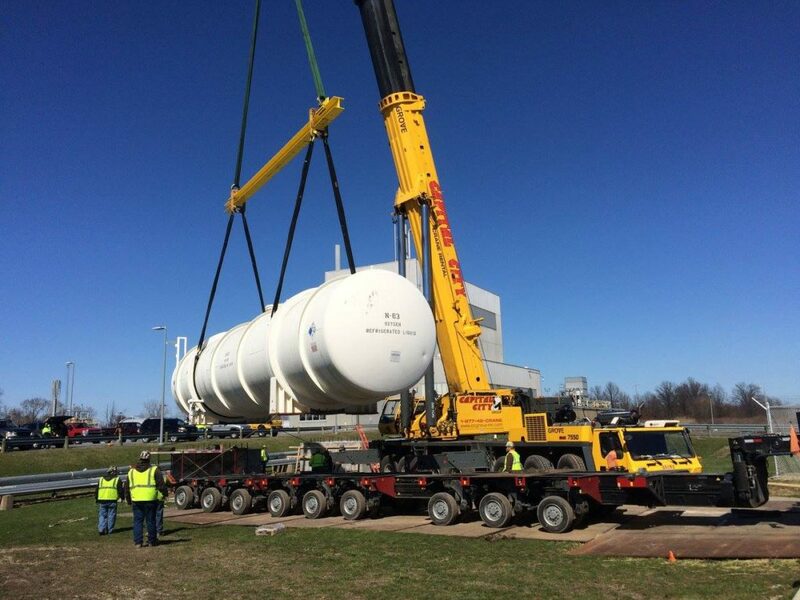 Capital City Group recently completed a project where we were asked to load, transport, and set a tank for NASA in Sandusky, Ohio that will be used to test equipment that are used for the 2020 Mars Rover project. 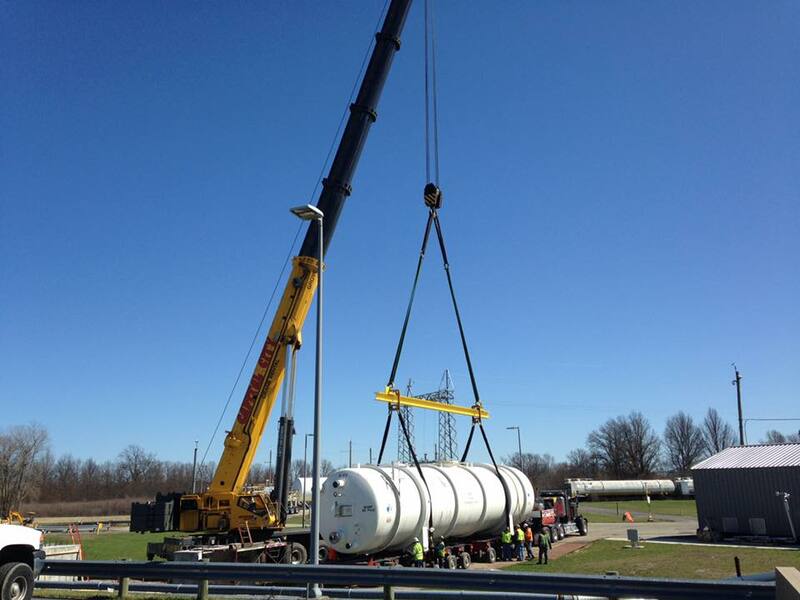 The tank weighed in at 160,000 pounds, was 65 feet long, 12 feet wide, and over 13 feet tall. 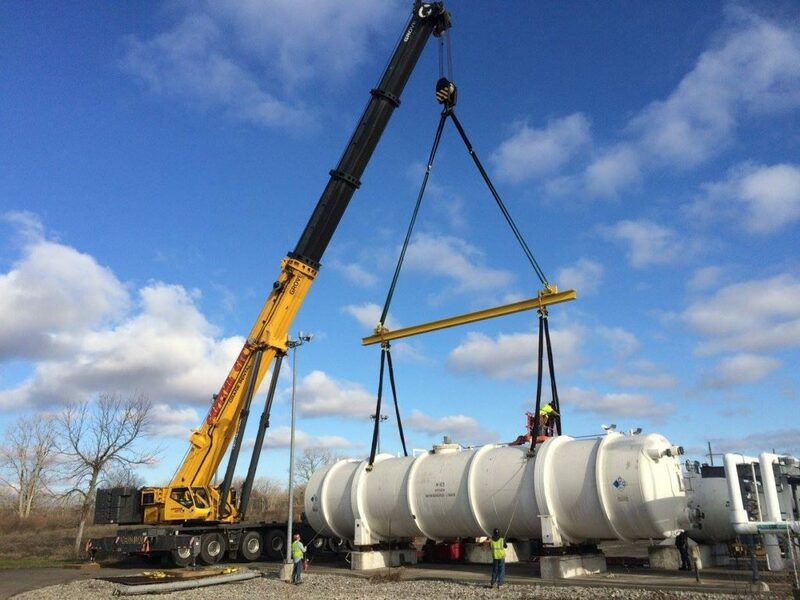 The tank was loaded and set in its final location with one of our Grove GMK7550 (550-ton) all terrain cranes. 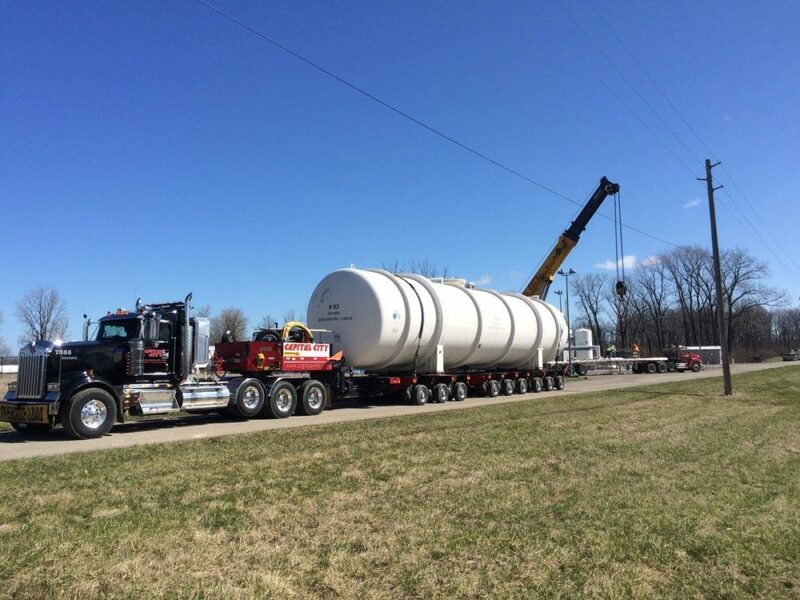 The move was completed on a Faymonville HighwayMAX trailer consisting of 13 axles. The gross weight was 260,000 pounds and a overall length of 115 feet.